Review: Omega Seamaster 300 | Watchfinder & Co.
For the cynical among us, it’s becoming difficult to remain enthusiastic when Omega announces the results of yet another archival plundering. We all enjoy a good look back into the past, but there’s a limit, a time to move forward with our lives and on to something new, right? So when news broke of the arrival of a Seamaster 300 reissue, the collective groan from watch-weary enthusiasts was palpable. Was that dismayed exhalation justified? 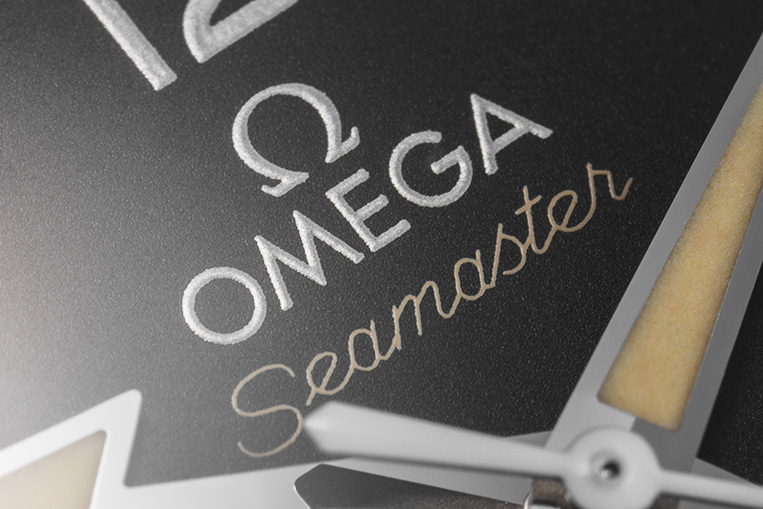 Is Omega’s copy-paste approach to watchmaking wearing thin? On the face of it, yes. Omega’s mimicry of Porsche’s photocopier method of design may seem nothing short of lazy, but once the context is realised, Omega’s motivation can be greater understood. From 1919 onwards, Omega absolutely dominated the Observatory Trials, a series of competitions held around Europe that sought to find the most accurate movements ever made. In 1931, Omega won all six categories at the Geneva trials; in 1936, Omega’s calibre 47.7 achieved a score unbeaten until 1965; in 1961, the watchmaker set two new records and occupied the top four slots for a single category. Omega was king. When the quartz revolution happened, there was chaos. Titans of watchmaking crumbled to dust as cheap, plastic watches with cheap, plastic movements became the affordable timepiece of choice. Some watchmakers made it through, Rolex being one of the few left unscathed. Omega was not so lucky, despite a decade or so of pushing boundaries with both mechanical and electrical technology—including a trip to the moon and the rescue of Apollo 13—and its tenure at the top came to an end. It was then a slow crawl back from the brink. Many supreme watchmakers had to do it, and Omega was not immune. Under the guidance of some of the best business minds in watchmaking (Nicolas Hayek, Jean-Claude Biver), Omega has resurfaced and found its feet once again. Think of this repopulation of modern vintage as restoring a back catalogue; where Rolex has maintained a continual presence of its historical models among its product lines, Omega has had to fill in the gaps. So now we’re here. 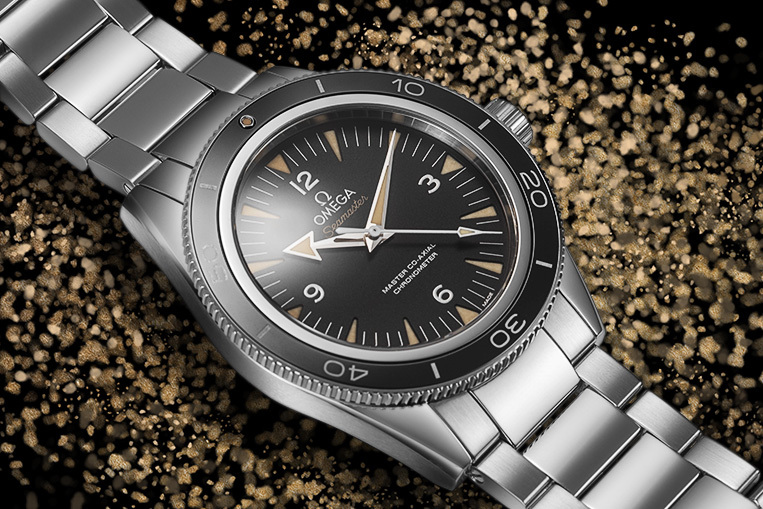 The Seamaster 300 exists, whether you believe it should or not, and it’s good. It’s very good. Omega has invested in a lot of tech (as it historically always has), and it shows. The calibre 8400 boasts not only Omega’s proprietary Co-Axial escapement, but also the same antimagnetic materials showcased in the 2012 Aqua Terra >15,000 Gauss, plus a very fetching Geneva Wave finish. The business side of the watch pays homage to the original, with a few minor updates, namely the ceramic bezel, recessed bezel pip and ‘aged’ lume. That last detail may be a sticking point for some, but it feels at home here, being well judged in colour and texture. 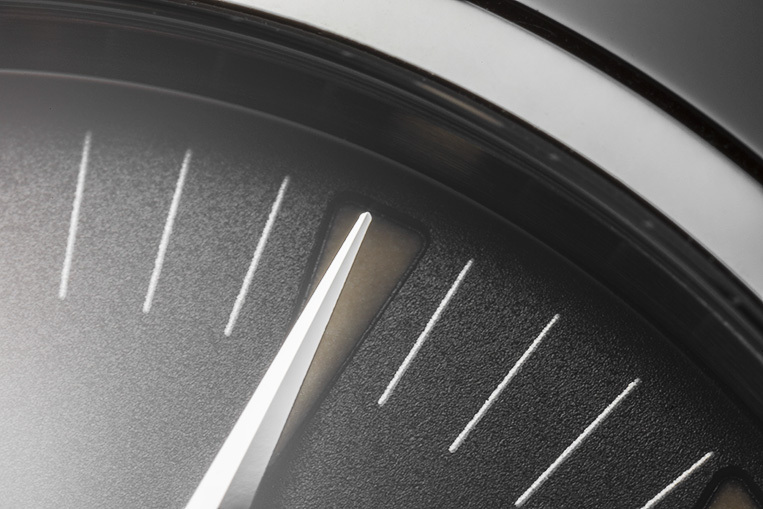 Dial text has been rearranged in line with other Omega models, but the fonts retain a vintage quality and colour. The case and bracelet are much improved of course, the clasp a particularly well-engineered component with easy on-the-fly adjustment, and all are supremely finished. Everything is reassuringly solid and weighty, and a look under a loupe confirms the precision of the fit and finish, holding up impressively well to scrutiny. Perhaps the neatest touch is one only visible with the lights off: the lume glows blue, with the exception of the bezel pip and minute hand, an indication that Omega hasn’t forgotten that this slick, shiny watch finds its roots in the brand’s first ever sports diver. 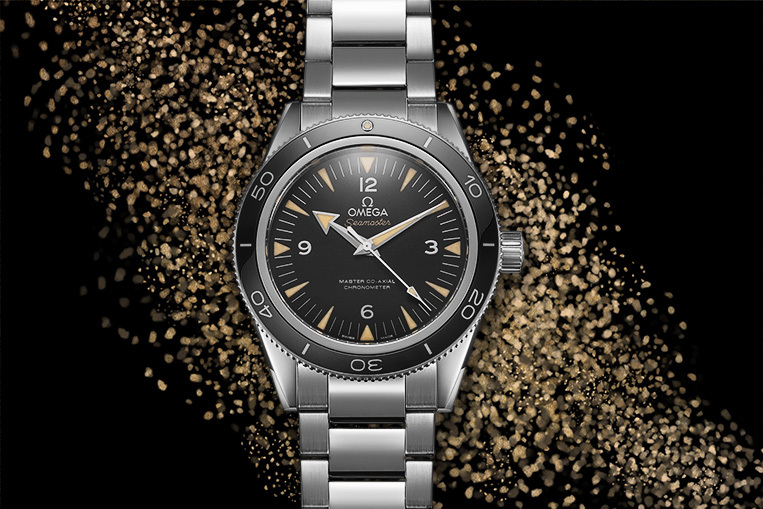 It’s a reassurance that the Seamaster 300 deserves its place in Omega’s current lineup—hopefully this time it’s here to stay.